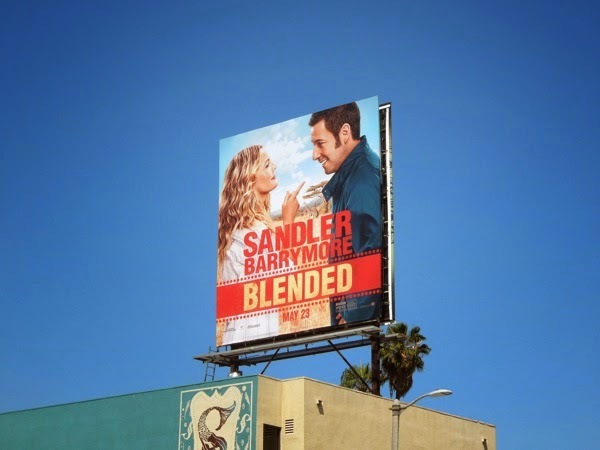 Drew Barrymore and Adam Sandler's new romantic comedy, Blended, is their third big screen collaboration since 1998's hit movie The Wedding Singer and 2004's 50 First Dates, and since this new film is set in Africa, it's almost like the Circle of Life that they are destined to work together again. 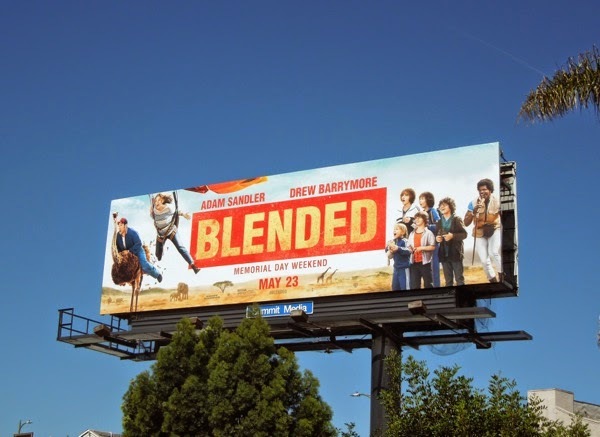 Only time will tell if their on-screen chemistry will make for a funny third film, as after a bad blind date the single parent duo and their respective children are thrown together at an African family resort for a wild safari adventure. 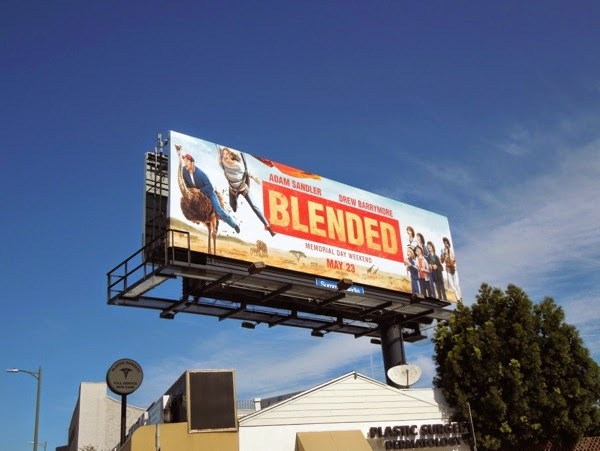 She's the mother to only boys and he's a father with only daughters, and as the quirky couple's relationship blossoms, they and their kids lives are blended together (with a few lions, giraffes and ostriches thrown in for good measure). 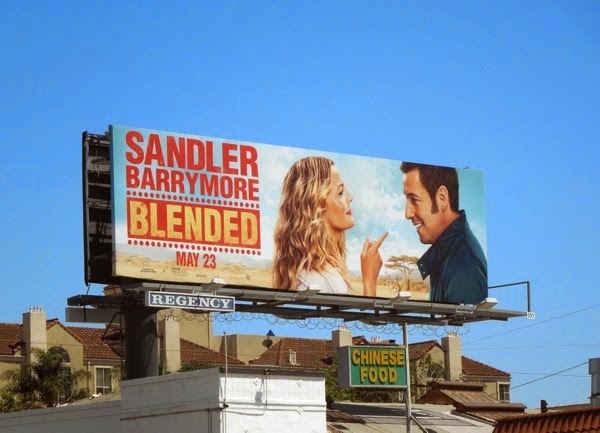 These billboards for the new romcom were snapped around the streets of L.A., including Wilshire Boulevard, 3rd Street, San Vicente Boulevard and Beverly Boulevard, from April 16 to April 28, 2014. 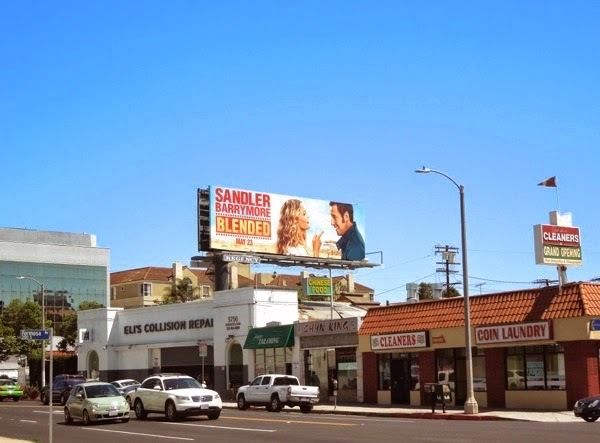 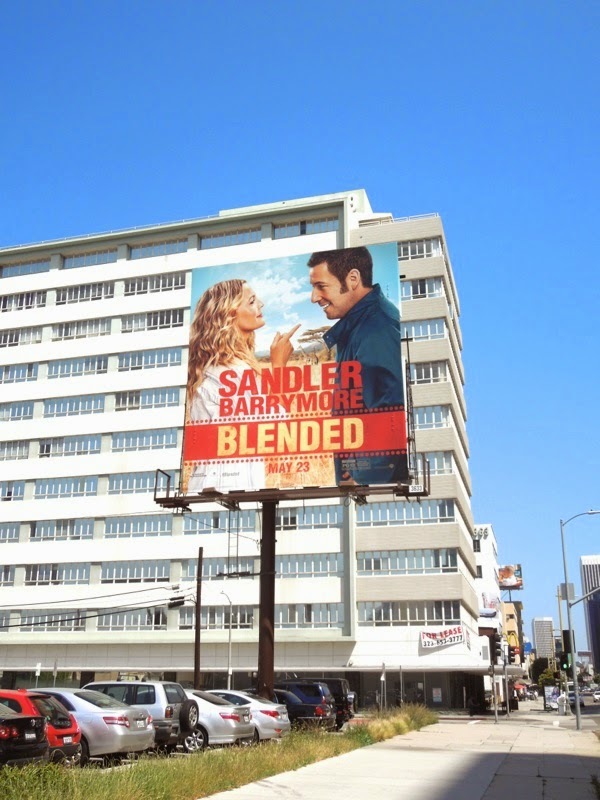 If you're a fan of Adam Sandler, be sure to check out these Jack & Jill movie billboards, giant That's My Boy film billboard and Grown Ups 2 movie ad campaign for a blast from the past. 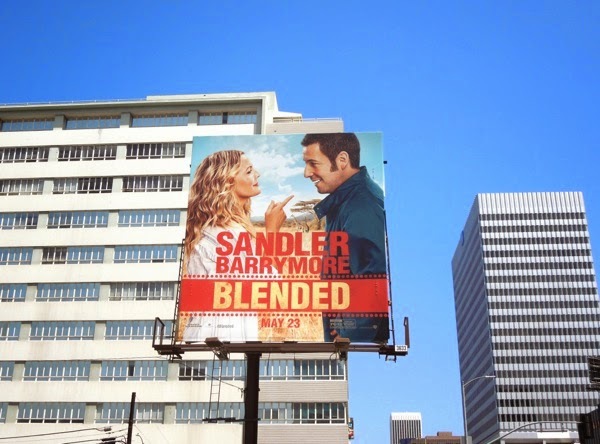 Meanwhile if you're an admirer of the actress, you can also see Drew Barrymore in the skies of L.A. in these Going the Distance movie billboards from 2010. 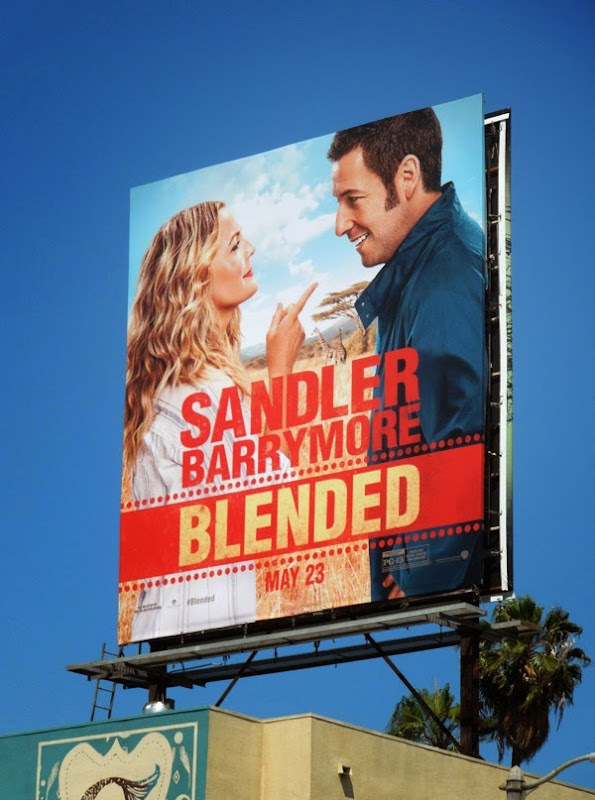 Now let's hope this movie isn't one reunion too many.